With the holiday season in full swing and the year coming to a close, we would like to celebrate and make a toast to another great year as inbound marketers. The holiday season is a time for festivities, reflection and new beginnings. How have you made this year truly count? Have you increased your number of leads? Have you successfully transitioned your company from outbound to inbound? Whatever your finest moment may have been, always be looking for new ways to succeed. In today's post we would like to take a look at 5 examples of highly effective holiday marketing strategies. We hope you gain inspiration for next year or even see some patterns in your campaign efforts for this holiday season. Enjoy! 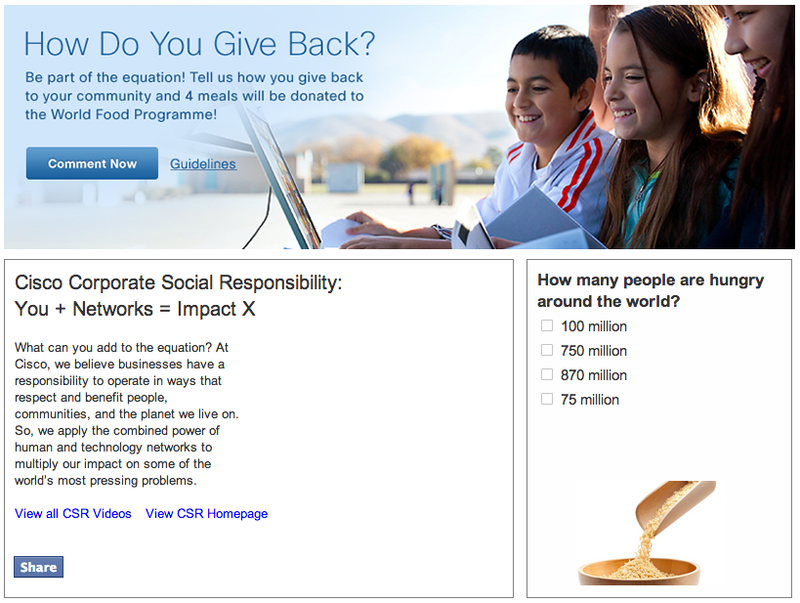 Cisco launched a "How Do You Give Back?" campaign last December that asked their audience to share how they give back to their communities. With just 1 comment, Cisco would donate 4 meals to the UN World Food Programme (WFP). The page also promotes other people who give back to the community. We have to pay credit where credit is due - Cisco successfully payed it forward during the holiday season, encouraged engagement on social media and helped their audience feel good about themselves. There campaign was a win-win for Cisco and their followers. American Express successfully launched Small Business Saturday, a campaign designed to support nationwide small businesses in your city. Its easy to think of large, well-established brands during the holiday season, sometimes so much that we start to forget about our local businesses. 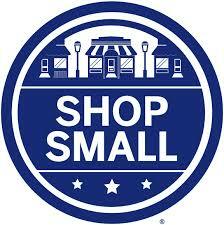 American Express offered customer rebates for their customers who chose to shop at their favorite local businesses. We would like to give the spotlight over to American Express, and their holiday marketing campaign, because they made an effort to guide small businesses through effective marketing. American Express also successfully helped to stimulate the local community by encouraging shoppers to stay local. Stand Up to Cancer has recently launched their 2nd annual Ugly Sweater Holiday Campaign. 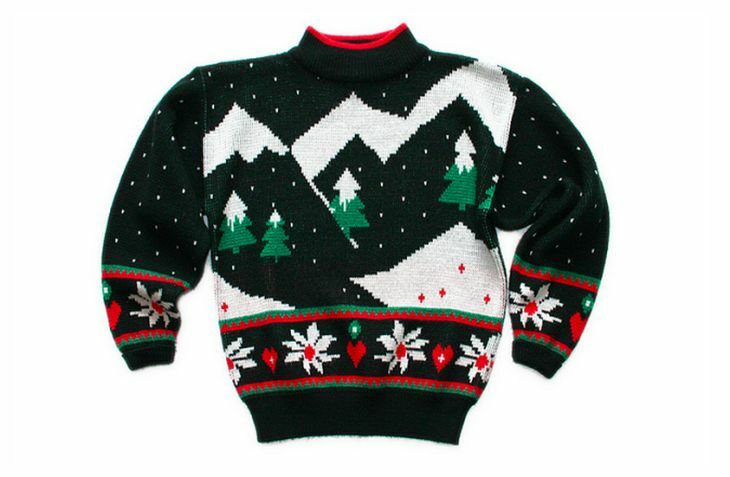 This holiday campaign is a no-brainer - Who can resist a good old fashioned ugly sweater?! - For a good cause? Even better. At the end of November, celebrators worldwide proudly geared up in their ugliest sweaters to raise money for cancer research. Participants were encouraged to find an ugly sweater, register online at the official ugly sweater web page, throw an ugly sweater party and send invites via e-vite or by e-card. Participants shared their efforts by posting on Facebook, Twitter and Instagram using the hashtag #uglysweater. Participants raised money by either collecting micro donations from friends for every day that they wore the sweater, or by collecting money from party participants. We think this holiday marketing campaign is highly-effective because it takes a very popular trend to motivate people to give back this holiday season. Encouraging your audience to engage, have fun and raise money for a good cause is a win-win in our book. Any marketing effort that successfully gets their audience / customers to engage is worth mentioning. Target has over 22 million likes on Facebook and over 900,000 followers on Twitter - so their effort to spark engagement on their social networks will generate buzz across the globe. Target's #MyKindofHoliday encourages their social connections to share special traditions via Facebook and Twitter. The marketing campaign promises to engage guests with weekly Instagram challenges, shopping tips, and how-to photos and videos that inspire creative gift giving. Target successfully takes the excitement of holiday gift giving and receiving to encourage their followers / fans to share and engage with Target's holiday marketing campaign. Besides encouraging engagement, Target harnesses the power of the digital world to reach their audience - a social strategy all businesses should be thinking about year-round. FedEx is very popular during the holiday season - besides UPS and USPS how else would we get our gifts to our family and friends across the country? FedEx decided to take the common holiday stereotypes and have a little fun with their campaign. By poking a little fun at the holidays, FedEx reminds their audience that they are a reliable service all-year long - not just during the holiday season. Take a look at one of their popular holiday videos. One of the most powerful strategies you can use in your campaign is making people laugh. People are attracted to humor, so if you take a well-known stereotype, like waiting overnight in line for Black Friday, people can't help but crack a smile or two. This video is entertaining, addresses a common pain point and lets their audience know that you can rely on the same service and deals all year long.